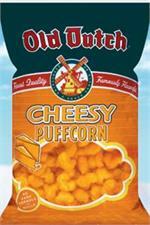 Fresh popcorn flavor that melts in your mouth, without any hard kernels or hulls... Now that's what a snack should be!! 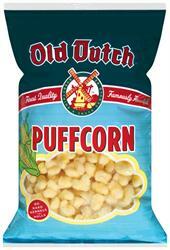 Old Dutch Puffcorn and Cheesy Puffcorn... Light and Delicious. 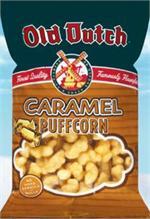 And for a unique, sweet, caramel treat Old Dutch Caramel Puffcorn is a caramel-coated treat that can't be beat.